Are you a little overwhelmed when you are working on a project and need to choose a font? Font choices can definitely make or break a graphic. As a designer and scrapbooker, I am always making font decisions. Want to know my secret for how to choose the perfect font? I use the http://wordmark.it website to help me choose the perfect font. Bring up the website in a browser and type your words in the box. After clicking on load fonts, the website will bring up the text entered in every font on your computer in alphabetical order. There are a few other options that will help you choose the perfect font. Along the top of the screen is an options bar. 1. information – Selecting information will show instructions about how to use the website. 2. positive/negative – Toggling between positive and negative will help test how the font looks on light and dark backgrounds. 3. aa / Aa / AA – Toggling between the three values will change the capitalization of the text in the text box. “aa” shows the text in lowercase, “Aa” shows the text with the first letter of each word capitalized and “AA” shows the text in all uppercase. 4. font size – Select the number next to font size: and enter a custom font size in pixels. 5. smaller / bigger – Click on smaller to descrease the font size and bigger to increase the font size. 6. filter selected – Click on a font when you like it. Click on filter selected to see just the fonts that you liked. My video below shows a demo of how the site works including all the options. I hope my tutorial and video will help you choose the perfect font. 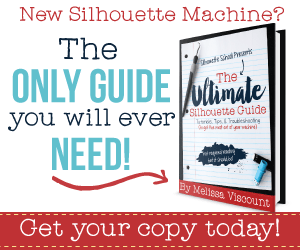 New to Silhouette and your website is a great help. I love the tutorial. Awesome Mary-Lynne! I am happy to hear it! I love wordmark.it too! It’s been a huge time-saver during the design process! I completely agree Christine! Wish I had found this site sooner. This is fantastic! Thank you so much for sharing this golden nugget. How have I been living without this? Thank you so much! I love wordmark.it!! Whoever came up with that is a genius! Thanks for the info on the way it works! You are welcome Cher! That site makes font selection go so much quicker for me! Now I just need a magic way of getting more fonts that I love. This is awesome Kelly!!! 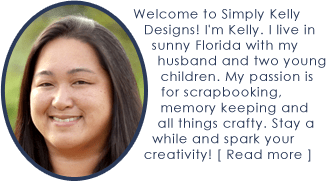 Love your site!!! Thank you Debi! I just redesigned it with a new theme to make it mobile responsive.